$100 for installing a qualifying smart thermostat. A $40 EnergyWise℠ incentive is available to homeowners who have their cooling system tuned up. Customers participating in the EnergyWise℠ attic insulation program are eligible for a 15¢/square foot incentive with a maximum amount of $300 per dwelling. Select and install a qualified high efficiency heat pump and receive a $400 to $3,300 EnergyWise℠ incentive or apply for a low-interest loan. Receive an EnergyWise℠ incentive of $400 to $650 and apply for a low-interest loan when you replace your electric water heater. 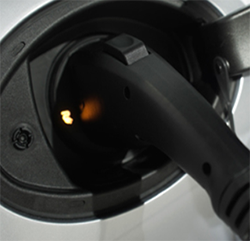 A $200 EnergyWise℠ incentive is available for the installation of a residential vehicle charging station.. Enhance lighting quality while earning an EnergyWise℠ incentive up to $60 per fixture. The Custom Lighting Incentive program may apply to you if your proposed LED lighting improvements are not available under the Prescriptive Lighting. Reduce power and energy consumption through our EnergyWise℠ variable frequency drive incentive and earn $30 per horsepower. Improve production without increasing energy consumption through our industrial process EnergyWise℠ incentive and receive up to 50% of the project cost. Optimize your buiding’s HVAC system and receive 80% of the EnergyWise℠ incentive immediately following implementation. Provide energy savings for years to come by installing a qualified Commercial HVAC unit and receive an EnergyWise℠ incentive starting at $50. Install a VFD into your corner system and we can provide you with an EnergyWise℠ incentive of $12/horsepower. Perform a pumping system efficiency test by a qualified service provider and be eligible for reimbursement for up to $350 of the costs.